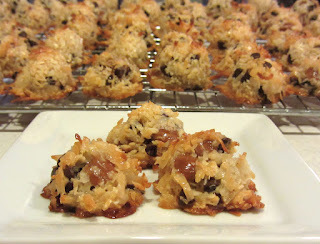 Coconut macaroons are one of the first cookies I ever made all on my own as a kid, and I've loved them ever since. They're chewy and sweet and just really delicious. Add in some chocolate and salted caramel...well, you're talking cookie heaven (and no eggs or flour, for those concerned). They're so simple to make, too - you don't even need to break out the mixer! This is one of those recipes that's great to make with the kids. They'll love stirring and scooping, and of course, all of the compliments they'll receive. These cookies are definite crowd-pleasers! 2. In a large bowl, combine the sweetened condensed milk, caramel sauce, and salt. Mix well. 3. Stir in the desiccated coconut until well blended. 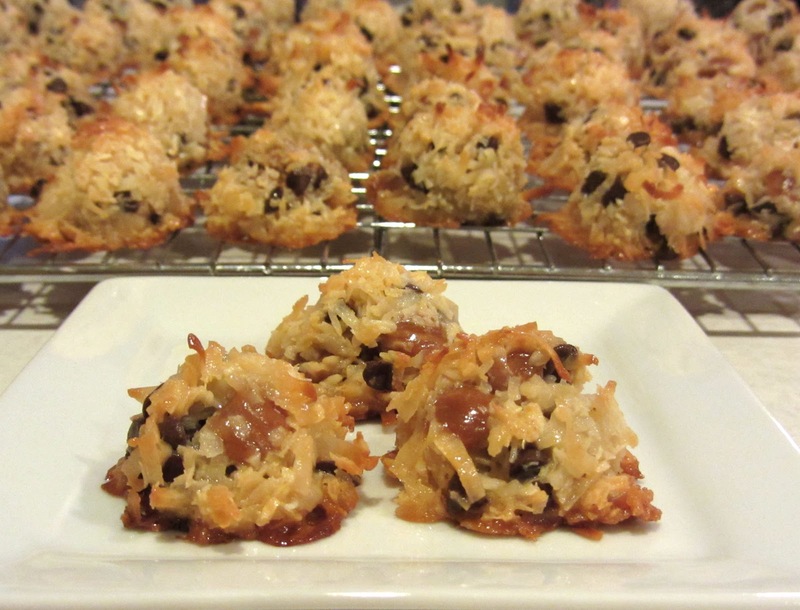 Stir in the shredded coconut, chocolate chips, and caramel bits. 4. Scoop tablespoonfuls of the mixture onto the prepared baking sheets, leaving about 1" between each. Sprinkle the tops with additional sea salt (these cookies are fabulous unsalted, too). 5. Bake for about 12 minutes or until golden brown. 6. Let the cookies cool on the baking sheets for two minutes, then transfer to racks to cool completely.